If you are looking for minibus hire in and around the town of Colchester – you’ve come to the right place here at Colchester minibus hire (www.colchesterminibushire.co.uk.) We can guarantee that we are the best minibus hire company in the area, for a number of reasons. We really care about our customer’s needs, this is always our main priority and our positive testimonials from satisfied customers who have used our services definitely reflect this fact. There are many reasons why you might be visiting Colchester, whether you are celebrating a birthday, stag or are there for more formal reasons, we are the company to service you. We have a large fleet of vehicles to choose from including 7 seater minibuses, 72 seater coaches and everything in between. Using our services is very cost effective and the more people who are travelling, the more you will be saving. Think about if everyone were to get taxis to wherever you are going, it would work out very expensive but our set price will never change! Despite always giving you our best price possible, the quality of service that you receive will never change. Our vehicles are sleek in their design meaning that you can always feel like you are travelling in style. They also have many amenities that will make your journey more enjoyable. 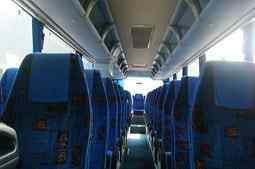 These features includes GPS navigation, air conditioning, DVD/CD player, comfortable seating, on-board catering and even toileting facilities on our larger vehicles. If you are require anything else just say so when you make your booking. Our customers’ needs are always our main priority and if there is anything we can do to make your time with us extra special, we will do it! You can even turn your acquired vehicle into a ‘party bus’ if this is something that would interest you. You know everything you need to know about us here at Colchester minibus hire, now let’s get onto the town that you will be visiting. No matter what the occasion, you can be rest assured that there will be something for you in Colchester. If you are after quite an educational visit and want to learn more about the history of the town, ‘Castle Park’ and ‘Colchester Art Centre’ are two places that are worth visiting. The Arts Centre is particularly awesome, with an array of shows playing regularly from comedy to modern culture. If you are travelling with children or are a big kid at heart yourself, why not make a stop at ‘Colchester Zoo?’ It is one of the best zoos in the UK and is home to some amazing animals. In addition to looking at what creatures the zoo has to offer, you can learn about them too which makes this zoo the perfect venue for a school trip. If you are in the town for a stag/hen/birthday and are there to mostly explore the nightlife, you will not be disappointed with what the town has to offer. If you want to start your evening with a bite to eat, ‘Noodle Zone’ and ‘ Riverside Spice’ are absolutely amazing restaurants but there are many to choose from in Colchester town centre, depending on what kind of food you like. When it’s time to really party, there are many clubs that will cater to your needs and are sure to give you a night to remember. ‘Missoula’ is a bar that offers something different every night of the week but with awesome music and some amazing cocktails, what’s not to love about this venue? ‘Straws’ and ‘Liquid’ are two other popular clubs that are near each other and will leave you partying all night long. Whatever you are doing in the town, as a company we will ensure that you get wherever you want to go and home again safely. 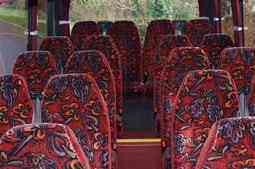 It is really easy to get in touch with us here on www.colchesterminibushire.co.uk. Simply enter your details into the enquiry form on the left hand side of the screen and a quote will instantly be emailed to you. This is something that no other minibus hire company offer as many take days to get back to you, which is not great especially if you are in a hurry! If you like what you see, you can finalise your booking online or over the phone by paying a small deposit. Once you have paid your deposit, your details will be entered into our database. We will be at the meeting point 10 minutes before the agreed time because reliability is something that we pride ourselves on and we will ALWAYS be punctual. Your friendly driver will greet you before it’s time to hit the road and he will enhance your experience even more. Your driver will be fully qualified and trained to the highest standard. He will also have extensive knowledge of the Colchester area, so can even advise you on places that are worth visiting. We can also work with you to perfect your itinery, if you do need some help in this department. Now that you know all there is to know about Colchester coach hire, what are you waiting for? 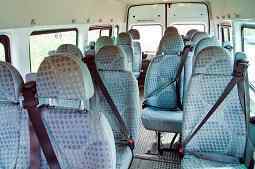 We are the go to company if you require minibus hire in Colchester and will make sure that you have an experience to remember for all the right reasons. Book our services today and you will not look back.